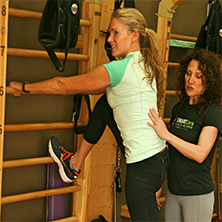 SMARTCore® Method offers highly individualized Structural, Movement, and Manual Therapy programs. Through this unique approach clients often report pain relief, posture improvement, enhanced performance, and better functioning. designed to help stimulate the nervous system in order to change the way muscles and bones align and move. The SMARTCore® Movement Method came about as a response to the fact that 'muscles don't move themselves'. This is why the SMARTCore® Movement Method approaches movement through the nervous system instead of the muscular system. 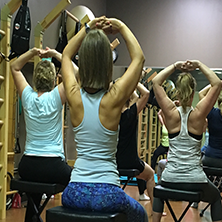 Private and Duet sessions are offered in both the Pilates Method and our signature SMARTCore® Method which include influences from the Pilates Method along with Functional and Somatic Training. These sessions are completely tailored to your body's needs and goals. SMARTCore® Movement Method focuses on developing awareness, alignment of bones, improving movement patterning, and enhancing your relationship with gravity. This approach facilitates improved posture, movement, and performance which will enhance your life and help you to maintain any level of activity you choose as you age. Learn more about all the lessons we offer! Experience bodywork designed to facilitate change. Changes typically include pain relief, improved posture, flexibility, ease of movement, improved breathing, and a general sense of feeling better physically and mentally. We offer Structural Integration, Myofascial Spotwork, Reflexology and Manual Lymphatic Drainage. 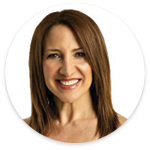 Kaylee is a nationally-recognized Movement Educator, Structural Integration Practitioner, former internationally touring professional modern dancer, former television and theater choreographer, and a teacher of teachers. Kaylee’s 30-plus years of exposure and training in various somatic movement methods such as the Pilates Method, Feldenkrais Method®, Ideokinesis, Eric Franklin, Alexander Technique, Bartenieff Fundamentals, as well as her own movement explorations combined with anatomy, physics, and neuroscience, provide the infrastructure for her perceptive and integrative teachings. Kaylee approaches movement through the nervous system instead of the muscular system because ‘muscles don’t move themselves.’ This approach is different from standard fitness and invites lasting change to occur in posture and movement patterns thus providing needed support for aging bodies to maintain mobility and strength. Check out Kaylee’s work which includes fascia manipulation, fascial stretching, therapeutic movement, functional movement, athletic performance, Pilates and more!